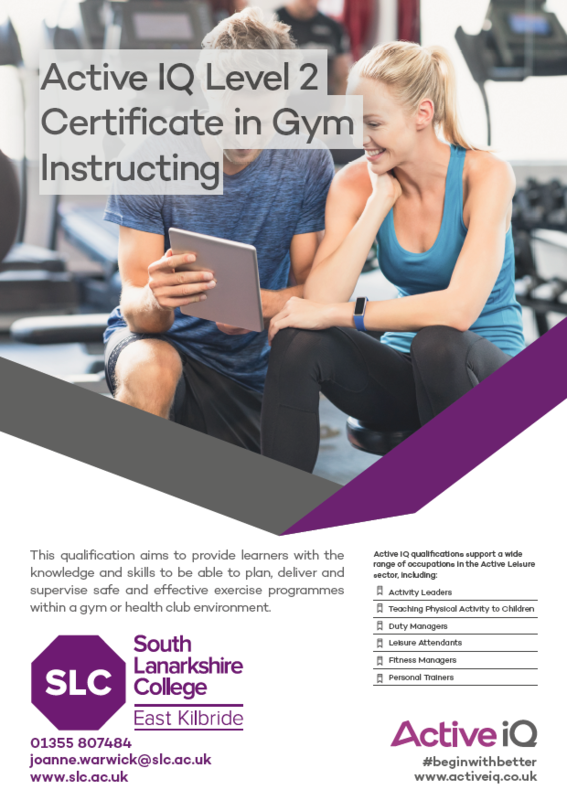 This Active IQ course is designed for people who wish to work as a gym instructor. You’ll be at college for four hours per week over eight weeks and you’ll take part in a mix of gym and classroom-based learning. You should have a keen interest in sport and fitness. You should display good communication skills and the ability to work with members of the general public. You should expect to work in groups and teams. Most of our students get help with funding their studies. Take a look at our fees and funding pages for advice and to see if you’d qualify for student support. The fee for this course is £700 which includes registration, certification and hard copy of a Level 2 manual. The cost of the course can be paid in instalments with a 20% upfront payment, which will be £140 and the rest paid over the duration of the course. This can be paid via cash, card or by setting up a standing order over 2 months.